Care4Today® Connect helps me better manage my health and wellness goals and keep track of my progress. It doesn’t just send me medication reminders; it also helps me monitor my activity and create a report that I can share with my healthcare provider. These tools give me the support I need to play a more active role in my healthcare. 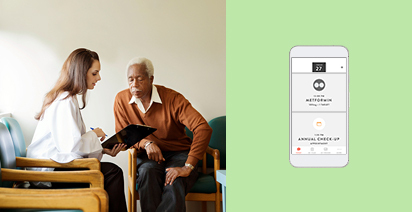 Download the Care4Today® Connect App for iOS or Android now. 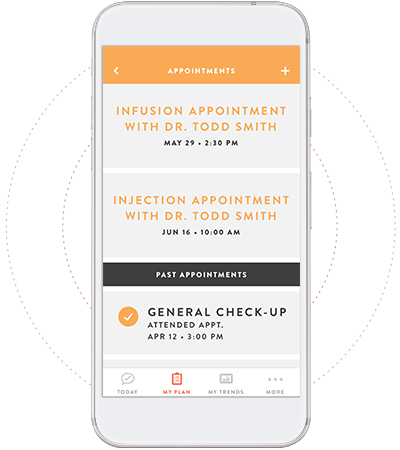 Care4Today® Connect was created with the input of patients and healthcare professionals (HCPs) to give you a comprehensive health and wellness app that goes beyond medication reminders. Taking your medications on time doesn’t just make you feel better, it’s also important for the success of your treatment plan. 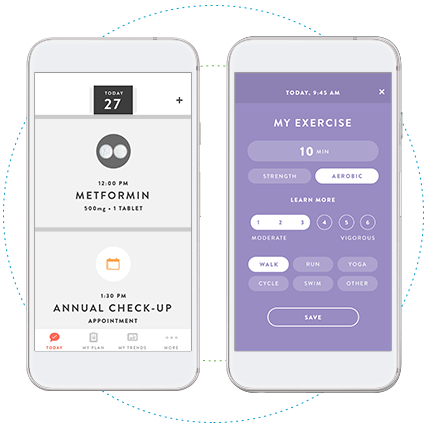 Care4Today® Connect gives you the tools you need to reach your health and wellness goals with our medication reminders and self-reported tracking features. With a medication database that's trusted by leading pharmacies and includes pill images, you can quickly find and add your medications – helping to simplify even the most complicated regimens. 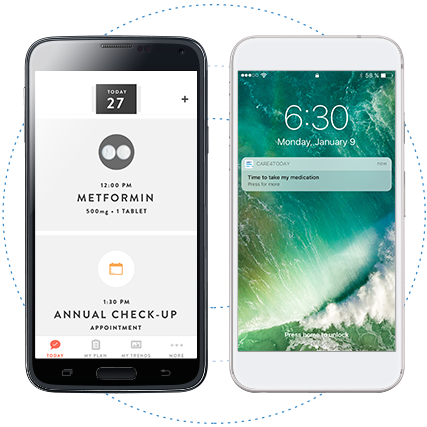 The app goes beyond medication reminders; it also works to keep you on track with medication refills. When you lead an active lifestyle, it can be hard to remember when to refill your prescriptions. Care4Today® Connect will proactively notify you when a medication is running low to avoid any missed or late doses. A late or missed appointment cuts down on valuable time with your healthcare provider and can make rescheduling difficult. Care4Today® Connect can remind you of upcoming appointments and help you manage your schedule more easily. Managing your health goes beyond taking medications and visiting your healthcare professional. 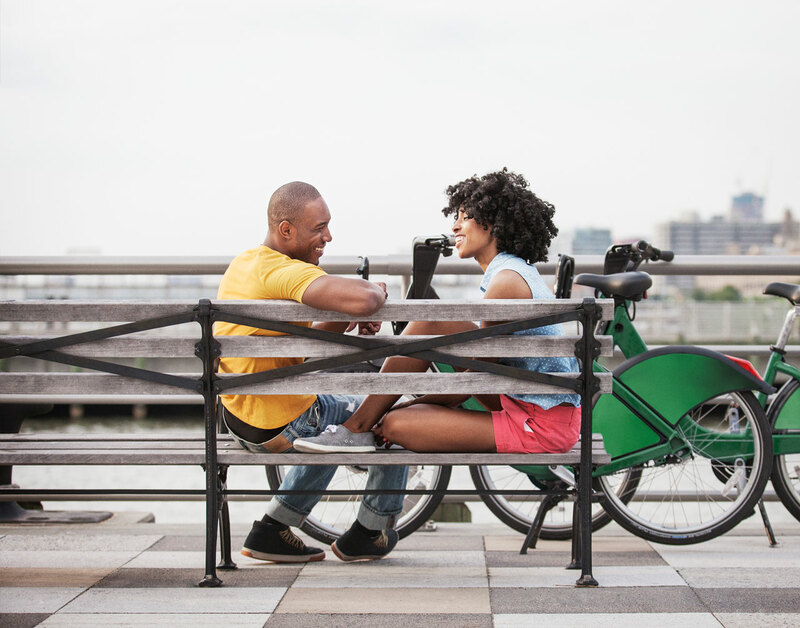 Whether you want to exercise more, change your diet, or be more aware of your key health measurements, Care4Today® Connect activity trackers and reminders can help get you closer to meeting your health and wellness goals. When you’re trying to control many aspects of your health, you want to make sure that you’re on track to meet your health and wellness goals. 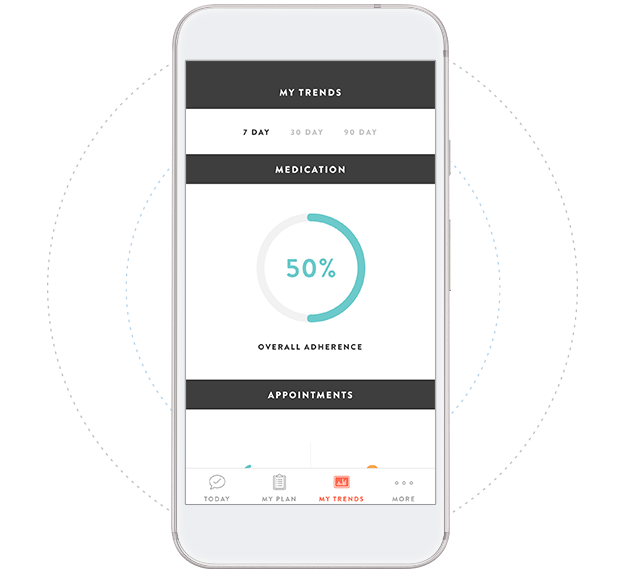 Care4Today® Connect enables you to check your progress with easy-to-follow reports, detailed trends, and graphs for all self-reported data. It's simple to see how well you've been following your medication schedule, managing your weight loss, assessing your eating habits and nutrition, identifying trends in your blood glucose, and much more. This important information can help you and your HCP make better decisions - and celebrate successes - for your health. Care4Today® is a registered trademark of Johnson & Johnson. © Johnson & Johnson Health and Wellness Solutions, Inc. 2017. All Rights Reserved. This page was last modified on: June 30, 2017.